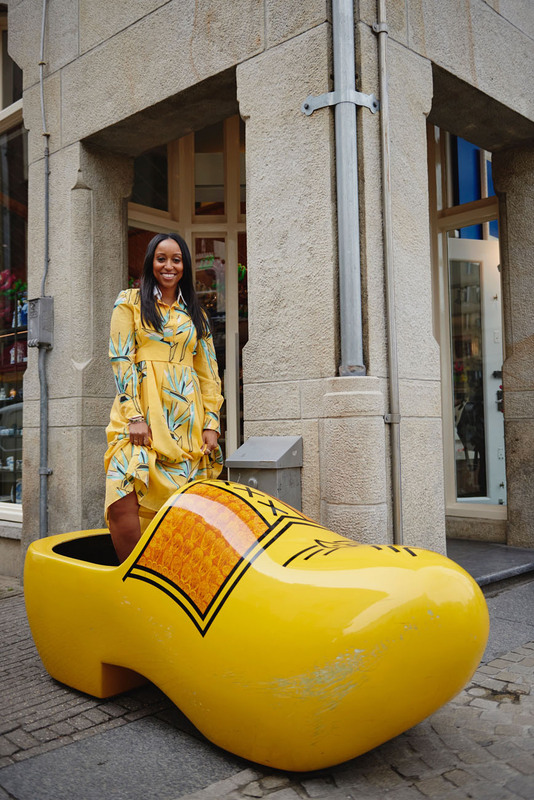 The is according to the Coveteur, which has posted a feature article and photo gallery — titled “Shiona Turini Takes Amsterdam With Pharrell” — on the Bermudian fashion expert’s visit to Amsterdam to visit the G-Star factory, a clothing line partially owned by superstar Pharrell. The caption posted with the photo above said, “One of Pharrell’s first initiatives at G-Star was launching a technique that creates denim yarn from plastic cleaned out of the ocean. Ms Turini is building a world class resume in the fashion field, having worked for both Cosmopolitan and Teen Vogue magazines, recently serving as a stylist for superstar Beyonce’s latest music video, speaking at a panel at the White House in Washington DC, and being featured in New York Magazine, Elle Online and many more top publications. An inspiration to many. Bermudians can do anything anywhere if we put our minds to it. It’s great to see success from our younger Bermudians in other fields besides IB. Congratulations Shiona!! This is truly your time of favor to shine. Bermuda is proud of you and I know those closest to you are even more proud. Another young breath of fresh air representing first herself, second her family and third Bermuda. There is a life outside 20 square miles when you get off your …. So awesome Gabe. So proud of you and your many accomplishments.